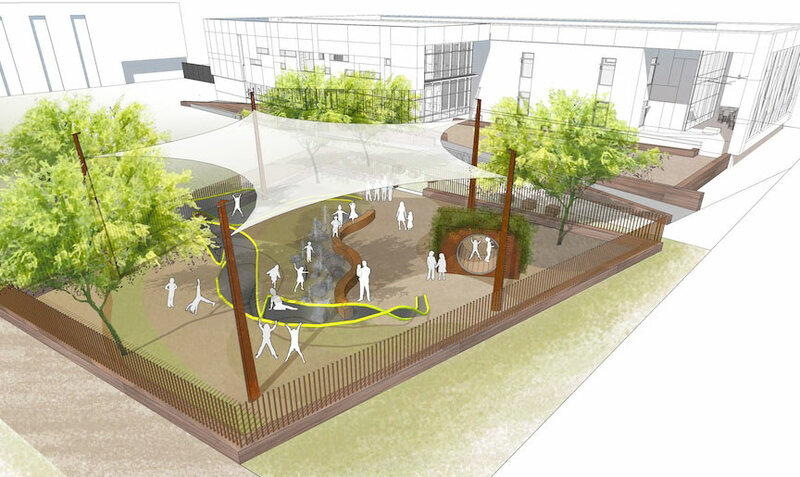 A portion of the site adjacent to the public street was carved out for a publically accessible playground that supports MPHC’s mission to provide healthy environments in the communities they serve. 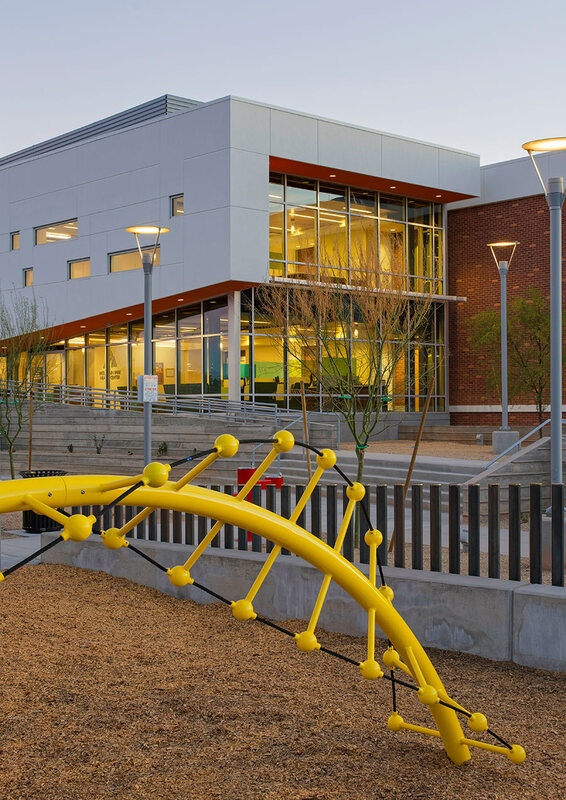 SmithGroup was the architect of record for building. 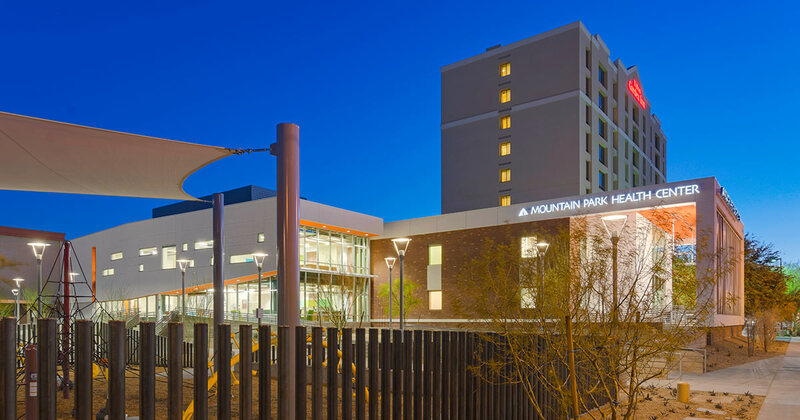 Mountain Park Health Center needed to expand its central Phoenix clinic. 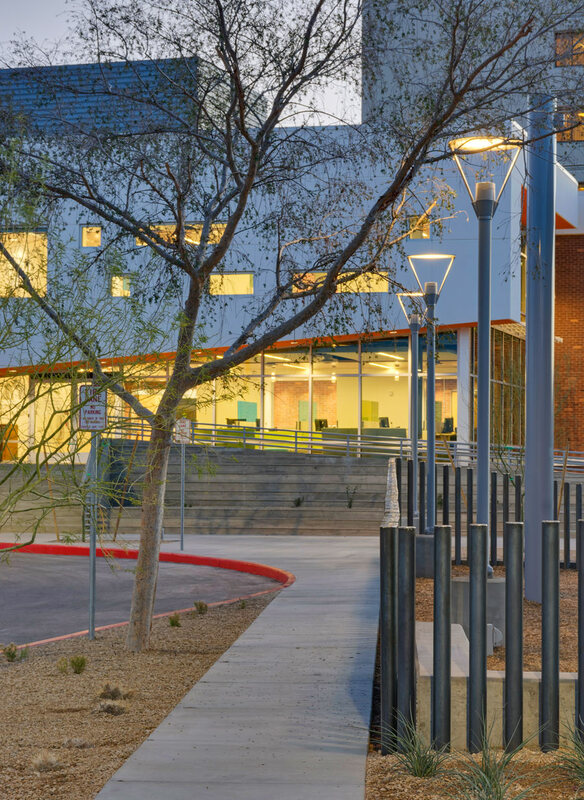 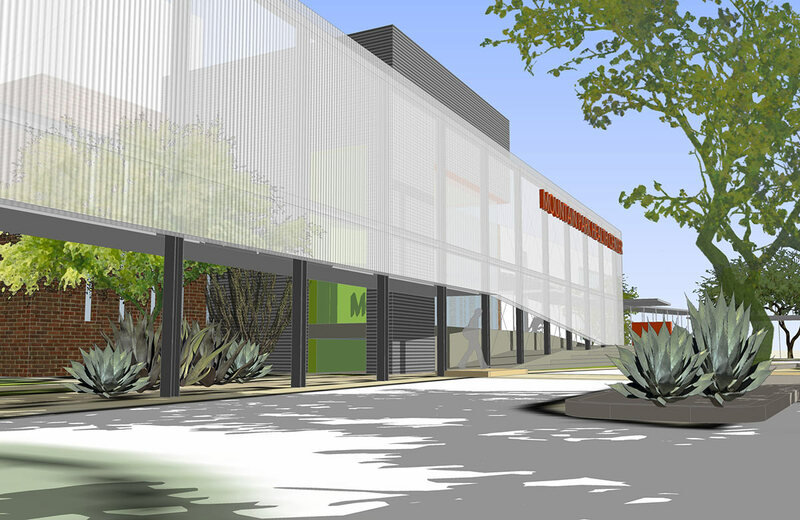 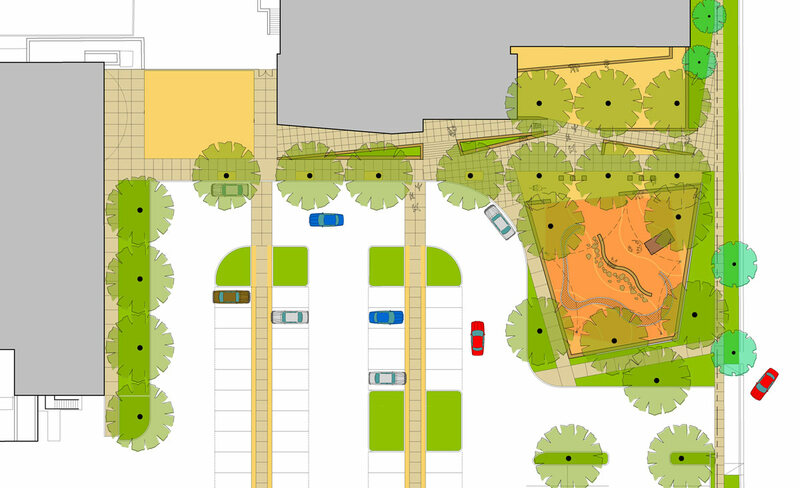 Kellogg + Associates assisted MPHC in the conceptual design, planning and landscape architecture for the redevelopment of a blighted site and adaptive re-use of 52,000 square feet near a light rail station and community college.